The Motorola Motoluxe is due to go on sale in the UK later this month, although we just got an email from one UK online retailer to lets us know that they have received the device a little early and it is now available to buy SIM free for £224.98 including taxes. 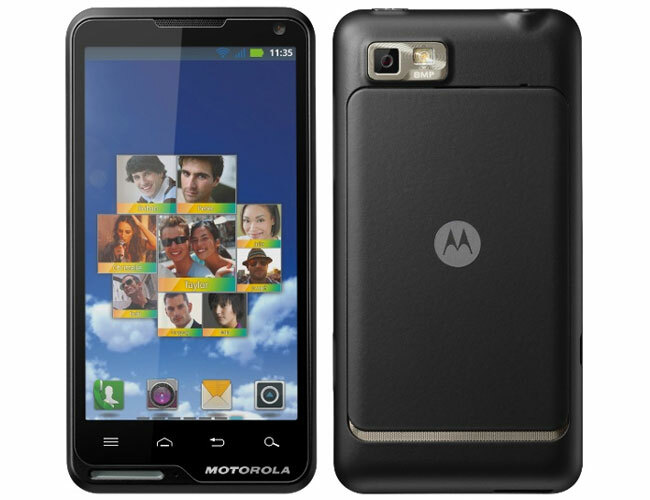 As a reminder the Motorola Motoluxe features Android 2.3.7 Gingerbread and it features a 4 inch touchscreen display with a resolution of 480 x 854 pixels, processing is provided by a single core Qualcomm MSM7227A 800MHz processor. The device also comes with a a front facing 0.3 megapixel camera for video chat and a rear facing 8 megapixel camera with an LED flash, plus Bluetooth 3.0, 802.11 b/g/n WiFi, 1GB of built in storage plus a microSD card slot that can take up to 32GB microSD cards. The Motorola Motoluxe is now available SIM free for £224.98 from online retailer Unlocked Mobiles, there are no details as yet on when it will be available from the various mobile carriers.